Terror's plot centers on a lost expedition to find the Northwest Passage. In the 1800s, two ships (Terror and Erebus) were trapped in the ice for over a year. Faced with dwindling supplies and inhuman conditions, the two ship captains decided against abandoning one ship to save the other. It was a noble choice, one that would seal their fates and those of their crew. The novel begins in the middle of the action and continues to skip around on a non-linear timeline. I was instantly drawn in by the colorful figure of Lady Silence, an "Esquimaux" woman who has had her tongue chewed off. Alas, in my opinion, she's the only character who truly stands out. The rest of the cast, all shipsmen and captains, faded together until I lost sight of which was which. Like glaciers in a snowy landscape, they blurred together. I had to go back and do some rereading to tell one from the other. With that in mind, The Terror is still a well-written novel. Simmons's research is meticulous, evoking the white/blue desolation of the Northern ice floes where cold is so intense it can make men's teeth explode in their mouths. Electrical ice storms spring up with deadly results. Under the two ships, shifting in the ice make it scream and groan as though it were alive. Through this alien background stalks the monster, a creature of ice that is part of the landscape. Since I read The Hunger and The Terror back-to-back, I couldn't help comparing the two books. Both are based on true events, horrifying histories of exploring the unknown. Both are set in the mindset of the time. Both add paranormal creatures to these stories. In my review of The Hunger, I said I thought this didn't really work. In The Terror, Simmons manages to make his creature come fearfully and wonderfully alive. However, the author doesn't accomplish that with his characters. Perhaps it's their stiff upper lips, their devotion to duty, their dreary back-stories. In Hunger, I really cared about the people on the western passage, but in Terror I couldn't tell them apart. That said if you like historical novels Terror is interesting and evokes a lost era. It's a nice long read as well, clocking in at 946 pages. 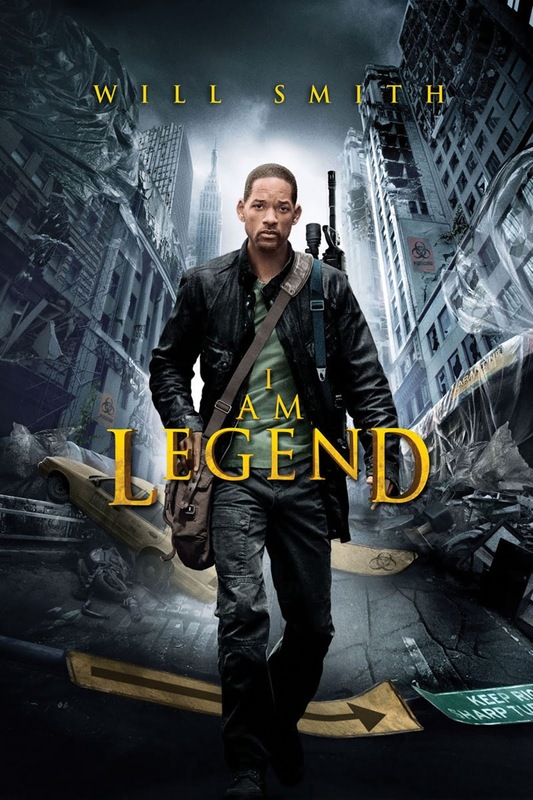 Over the weekend I watched I Am Legend. Loosely based on a 1950's novel, this thriller based on an apocalyptic pandemic drew me in with excellent acting and a tight storyline. Will Smith plays Robert Neville, a virologist who is immune to the disease that has wiped out most of the population. And the pandemic turns people into vampires: unable to bear sunlight, thirsty for blood, impossibly strong. I know this is an old movie, but for some reason, I missed it in the theater. It's a great watch for a weekend night - suspenseful and exciting, with none of the jump-scares that some directors seem to feel are obligatory. Full disclosure without giving away any spoilers: this movie is sad, but it's not completely depressing. Neville's intelligence and resourcefulness made this an uplifting watch for me, one I'll probably sit through again. Yeah, it was that good. If you like action and great acting with a side of sharp wit (and don't mind somewhat clunky special effects,) I Am Legend is a good weekend watch. Make some popcorn, pour a tall drink, and enjoy this exciting thriller. 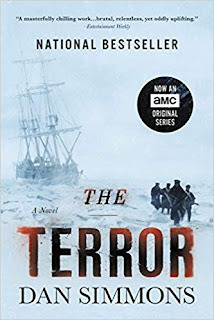 A few years ago I devoured The Terror in five days. I couldn't put it down. I thought it was such an extraordinary work. To this day it remains one of my favorite novels---at times horrifying and brutal and other times almost lyrical. I loved the character of Captain Francis Crozier who was a historical figure. I'm not familiar with The Hunger but I'm going to look that one up!